Diabetes is a serious condition that affects many thousands of people every year across the globe. Diabetics suffer from unhealthy blood sugar levels either as a result of the body's inability to produce a sufficient amount of insulin or to properly absorb the insulin that the body is able to produce. Beyond this widely known direct result of diabetes, various serious complications can arise as an indirect result of diabetes, particularly in terms of a person's eyes. Nonproliferative diabetic retinopathy is the first stage of retinopathy, which occurs when damaged blood vessels in the retina leak fluids and blood into the eye. Deposits of cholesterol from the blood may also leak into the retina. Diabetic retinopathy at this stage is rarely sight threatening. However, swelling or thickening of the macula caused by fluid leaked into the eye may cause the macula to function improperly in some cases. This is a condition eye doctors call macular edema. It is the leading cause of vision loss caused by diabetes. Proliferative diabetic retinopathy is an advanced stage of retinopathy. At this stage many blood vessels in the eye have already closed themselves off, preventing proper blood flow to the eyes. The retina then begins to grow new blood vessels in an attempt to create new ways to supply blood to the retina. These new blood vessels are abnormal and ineffective, however, and the retina is unable to achieve proper blood flow. These new blood vessels will often create scar tissue that may cause wrinkles in the retina or cause the retina to become detached. Proliferative diabetic retinopathy is much more serious and sight threatening than non-proliferative retinopathy because of the possibility of very serious complications such as traction retinal detachment. This is a condition in which the wrinkling of the retina causes distortions in vision and may become very severe if large parts of the macula or retina become detached. Diabetics are also at increased risk of cataracts, in which vision becomes cloudy as a result of clumps of protein forming in the lens of the eye. Cataracts usually affect people in their elderly years, but statistics show that diabetics tend to develop cataracts at younger ages, and their condition progresses much faster. In cataracts that cause significant blockage of the lens, the lens must be removed and replaced by an artificial lens in order to restore vision. This is not without risks, however. Studies have shown that a person's retinopathy can worsen and glaucoma may start to develop as a result of removing and replacing the lens. People with diabetes are at much higher risk for glaucoma. This risk increases as a person ages, and occurs when fluid pressure inside the eye builds up and damages the optical nerve. With glaucoma, damage is done slowly, and a person may not realize they are losing their vision until significant damage has been done. 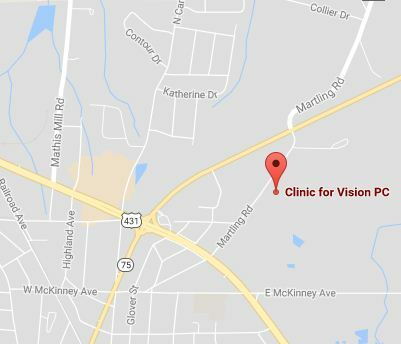 It is important to have regular eye exams at our optometry practice in Albertville, AL to monitor for warning signs of these and other conditions that result from diabetes. For more information, contact Dr. Timothy Nichols today.